Mason Pritcher joined Holt Lunsford Commercial in 2018 and serves as a Market Analyst in the Dallas Office Division. He is responsible for gathering market intelligence, producing weekly analysis reports, assisting brokers in lease negotiations, and marketing HLC properties. He is dedicated to supporting the leasing transactions on their approximately 3.5 million square foot portfolio of office assets, including scouting specified buildings and assisting each Market Associate with their individual marketing tasks. 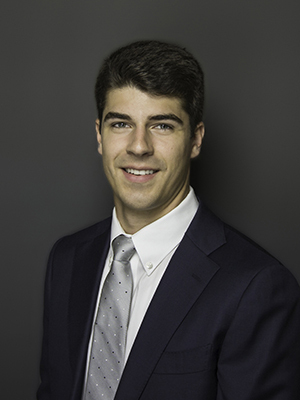 Prior to joining HLC, Mason interned for an investment and wealth management firm in Fort Worth. During his time there, he performed securities analysis, financial modeling, portfolio risk analysis, and the re-allocation of assets. He also assisted the tax team on over one hundred corporate and individual accounts in tax season. He lettered for 3 years in lacrosse and track while attending DBU. Mason received his BBA in Entrepreneurial Management from Dallas Baptist University. Mason is a Texas Real Estate Commission license holder. He is also a member of the Texas Real Estate Council (TREC) and North Texas Commercial Association of Realtors (NTCAR).